UDA Technologies introduced Echo today, an innovative new device designed to provide seamless portable data backup for ConstructionSuite. Coupled with enhanced UDA Portable Database Technology 2.0, UDA Echo was created for clients that need the confidence of simple and secure backups. UDA Technologies introduced a new version of Envoy today, featuring enhanced UDA Portable Database Technology 2.0. Significant improvements include increased stability, faster access times, improved reliability, and better safeguards for use with laptops and portable devices. UDA Technologies has expanded Green Initiatives throughout 2009 and 2010 with a comprehensive strategy of new software and hardware product offerings, improved internal standards, and web-based services designed to minimize costs, improve speed and efficiency, and reduce project impacts. UDA Technologies set ConstructionSuite sales and revenue records for the month of March 2010. Dating back to September of 2008, March 2010 was the strongest single month of revenue UDA has experienced. Revenue growth was particularly strong across the residential and commercial product lines as clients re-entered the market with renewed interest in renovation, rehab, and green construction projects. 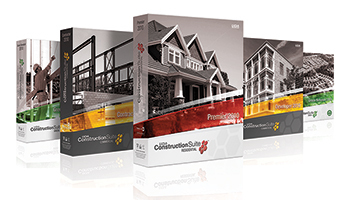 UDA Technologies recently completed updates for 2010 RS Means Cost Data integrated with ConstructionSuite. Updated cost data from RS Means includes the latest prices for labor and materials for nearly 100,000 items and 14,000 assemblies across North America and Canada.